For years I’ve lapped around Indiana’s borders but never seemed to dive in. The wait is over. It was time to stop letting big brothers Illinois, Ohio and Michigan take front seat. Indiana is no second fiddle. Indeed, Indianapolis touts its airport as the best inside of either coast and in all of North America and has the awards to prove it IND is central to statewide locations and, though not a primary or secondary hub for any major airline, touts various direct flights and off-the-charts customer satisfaction. Bloomington was the destination this time for Aleah (my photog/social media guru who doubles as my daughter) and me. About an hour via shuttle from IND, we traveled to Bloomington worry free with Go Express Travel which has extremely reasonable prices. Bloomington is Everytown, USA. I’d guess more people know about this part of Indiana than they realize. Bloomington is home to Indiana University and truly no trip to Indiana is complete without making it to I.U. Like so many before us, we were welcomed through I.U.’s formal entry way known as Sample Gates. These pillars of welcome are some of Indiana’s most highly photographed; standing there in the moment, Aleah was all but ready to apply to I.U. Many would make the pilgrimage to I.U. just to see the Assembly Hall (venue of Hoosier legendary basketball) or perhaps for a gawk at the Little 500 track (of movie fame) and a nostalgic heart thump at the thrill of one’s own “Breaking Away”. Sold. We toured I.U. 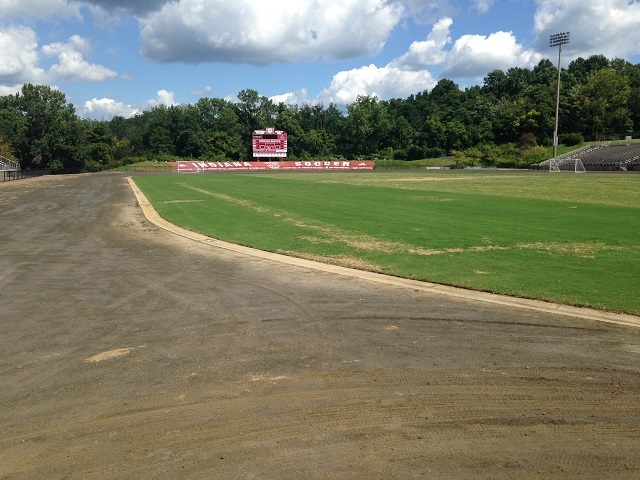 with a small group and were treated to peeks of the baseball, football, soccer and basketball practice and game day facilities and stadiums (Bart Kaufman, Mellencamp, Memorial Stadium and Cook Hall respectively – Assembly Hall was under renovation and closed to visitor’s during our visit.) Google “I.U. Football” and the first two hits are for basketball and soccer respectively. But, don’t be fooled. 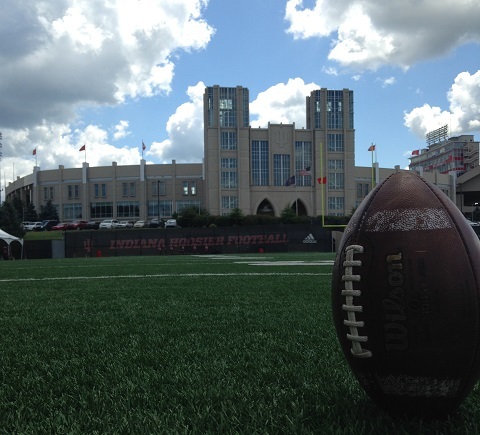 Memorial Stadium has an electric feel even when empty. This is a college town! And college town means college town food. 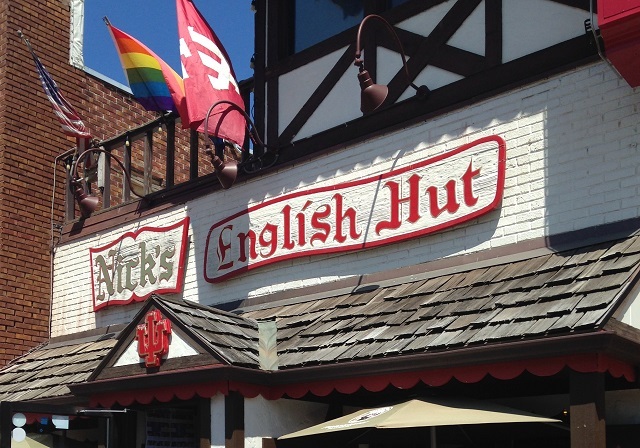 Nick’s English Hut is “a Bloomington tradition” says their website. Merriam Webster’s defines tradition as, “the handing down of information, beliefs, and customs by word of mouth or by example from one generation to another without written instruction” and that is precisely what’s happening at Nick’s. Waiters know the menu by heart. Businessmen sit beside students. All share a love for their “Sink the Biz” fries and choices from burgers to pizza to sandwiches. We couldn’t chose between the Stromboli and Italian Beef sandwiches so we got both and split them. Incredible! 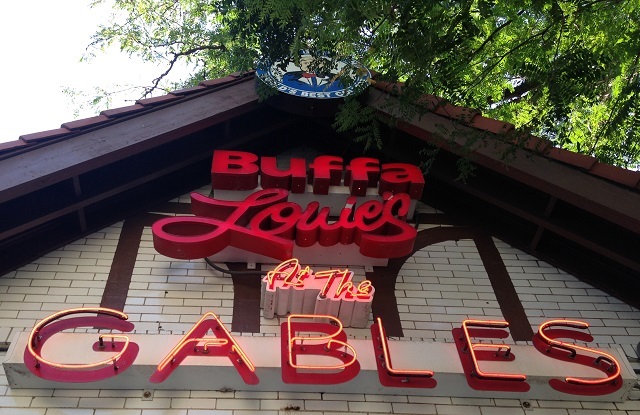 If Nick’s isn’t enough of a draw, Buffalouie’s seemed to be on the tongue of locals and visitors alike. As their name suggests, Buffalouie’s is a wing haven to behold. They proudly tout being one of USA today’s top ten wing joints and their wings match the hype and then some. Perhaps the only flop with their flappers was when we tried to break our order into several sauces for a “snack” size and were rebuffed – pun intended. Also they have a charge for extra sauces and veggies which could have been looped into the price of our food (author’s note: I always wince at upcharges which I’d have gladly paid for in the price of the meal, but see as “nickel and dime” when required to be purchased à la carte. An additional charge for chips and salsa at a Mexican restaurant would be another good example of this foodie phobia). Try this place. Enjoy the Americana that adorns their walls. Go when it’s game week. Expect fresh, filling, fire and fun. Such was our outing. Frittered Smelt, purple cauliflower, red carrots, red peppers, grape tomatoes, fresh bleu cheese, arugula pizza with wild mushrooms, Brie, goat cheese basil pancakes, golden beet gazpacho, fresh ground corn fried catfish, whole roasted pig, cold rare bison steak, roast duck, pulled pork sliders, watermelon, wild grown mushroom (three types of mushrooms) salad, homemade mozzarella, smoked gouda, homemade marshmallows, pecan pie, sweet potato pie with fresh cream, goat cheese mousse, maple funnel cakes, peach cobbler, blackberries, strawberries, blueberries, a ginger ale and a bag of popcorn. The full fare was presented at the farm-to-table eatery with the farmers there telling us about their products while chefs were preparing their items in the kitchen. I think we literally had one of everything. Maybe it was the popcorn at the end of the meal that might have kept me lying awake that night (he said, literally with tongue in cheek). Our jaunt back to the hotel from FARM was pleasant and rewarding. En route, we overshot a street and wound up on Bloomington’s “B-Line” trail. The 12’ wide blacktop trail winds for a little over three miles through town and is frequented by cross-trainers, bikers, boarders and bladers. Even those of us who were on a casual stroll found it a nice diversion from semaphore controlled motor traffic. The Courtyard Marriott (our lodging during the trip) was both convenient and comfortable. Upon arrival in Bloomington we’d found our room not to our personal liking and staff were quick to arrange our change of rooms and assure all was in order. I even had a wardrobe malfunction (with my belt) during our stay and one of their staff allowed me to use tools in their workshop area to rectify the problem. We’d gladly return to The Courtyard Marriott without hesitation. 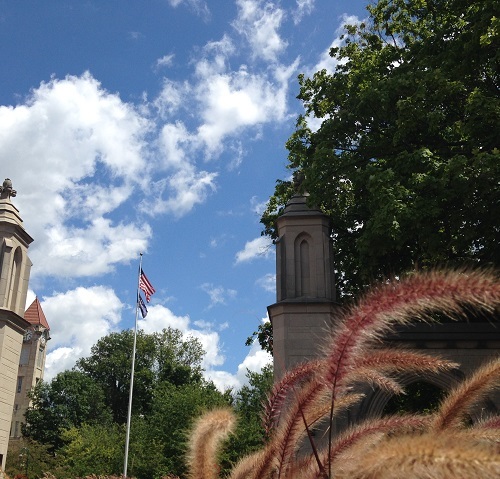 In all, we found every quaint aspect of Bloomington worth each day of our stay. We’ve already set a date to tune in to the next I.U. vs. Purdue rivalry game and are prepared to cheer for “our” Hoosiers. We’ll be back to the friendly feel of Bloomington and relished our time among new found friends in “Honest-to-Goodness Indiana”.